Ladders are basically tools which will allow you to reach higher ground. Their necessity and importance is something that we cannot really deny. However, there are times when they can prove to be disadvantageous. This is especially true if you are working on something which requires a lot of space. This is where scaffolds come in. 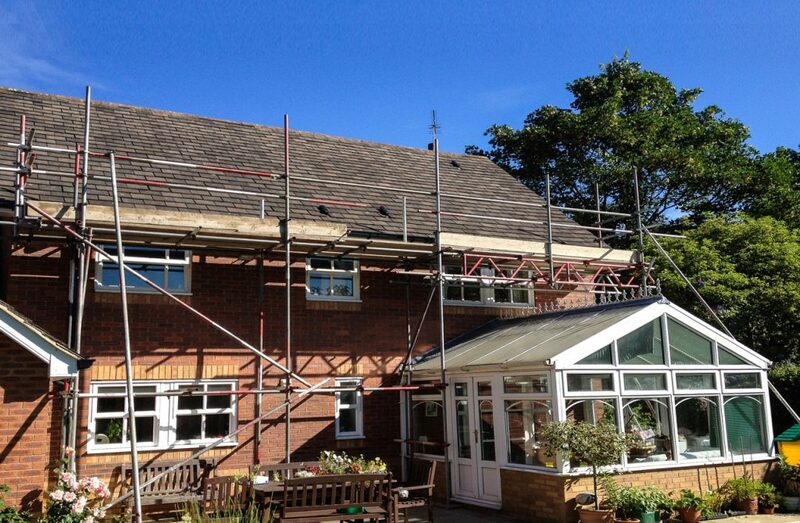 You usually see these scaffolds in construction sites and some large homes improvements. The difference does not only rely on the amount of height they can reach. There are also some differences including some benefits and disadvantages. Ladders are vertical tools. They can reach great heights and with modern innovations in its material and construction, we can clearly say that it is safe. Aluminum is a strong and light metal which makes it suitable for these kinds of tasks. The ladder is also a base tool. This means that there are a lot of improvements that we can do to make it better. Some ladders have their own level measurement tool to be used on high ground. You can also use adjustable feet to make it stand on an even ground. The problem with ladders is the fact that they are light. This means that once you use a force strong enough to swing your weight, the ladder will swing with you causing a disturbance in the weight balance. This will also disturb the breaking strain. If you are in a really high ground falling can be a sure result. The space being provided for you by a ladder is actually very minimal. Your reach is only the length of your arms since you cannot move around with a ladder. If you would have to reach something, you have to go down and move the ladder. This process will take a lot of time and effort. Scaffolds can solve the basic necessities that you need in a ladder. The benefits can really prove to be something that you are looking for, especially with the fact that it gives you a lot of ease in working on high ground. Scaffolds provide enough space for you to work on. This means that you can carry your materials with you and drop them in the plank. This will allow you to stay where you are instead of going down and up just to get some stuff. The scaffolds will also help you work on a large space without going down. For example, you are hanging a piece of panorama on the wall. This will require you to move from one point to the other which is something you cannot do with a ladder. With the ladder, your space is limited. A scaffold can expand depending on the area you are working on. You can also move it mechanically instead of lifting it. 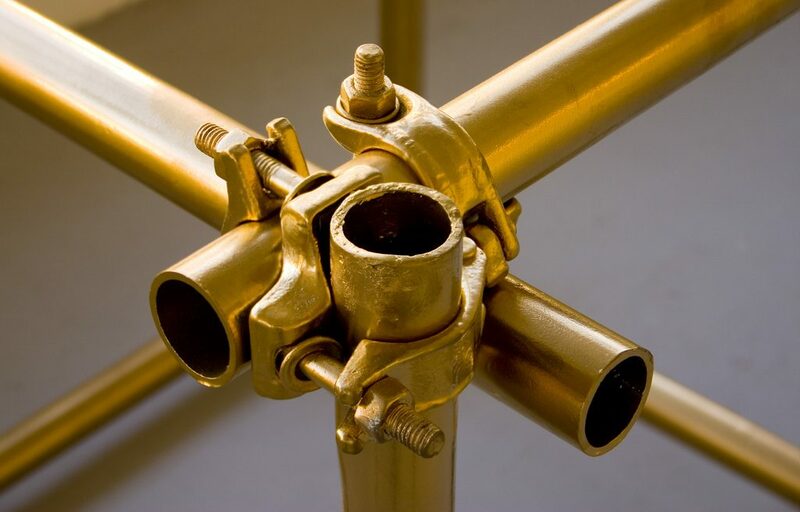 The main problem with scaffolds is the fact that you cannot easily make them. You will require a lot of materials still depending on the size of the scaffold you are working on. Individual materials can be really light but if you put them together you will have a hard time manipulating stuff. Building homes usually require scaffolds instead of ladders. The benefits and the ease of working can really be experienced with this one. Building homes will require you to put in large pieces of wood including long panels of support. On top of that, you will have to make sure that everything is in level. Scaffolds can allow people to work simultaneously on the building of the house while providing each of them enough space to work on. You can work simultaneously with a ladder but you will have to go down most of the times to move it. Ladders also need external support. They cannot stand on a really high ground without an outside foundation. Scaffolds can go over that detriment. It can stand on its own even if the house isn’t even there. Tree houses will not stand if you are using a ladder. On top of that, you will have to provide so much effort. This is especially true in transporting the things that you need from the ground towards the tree house, which can comprise of heavy pieces of wood. The best thing about a scaffold is that a lot of people can stand on it at the same time. Those number of people can help in passing the materials. If not, the scaffold can also serve as a support for a dumbwaiter system. 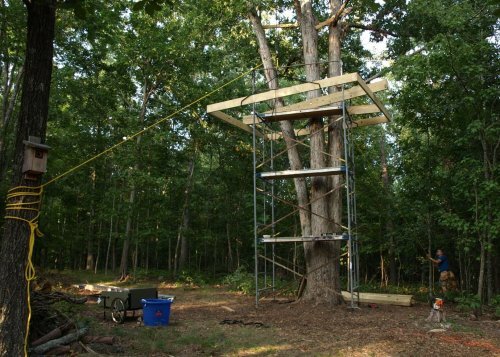 This will make things easier even if you are just working on a tree house. Working on home improvements is something that is very important today since a lot of professionals ask for a huge amount of money. This means that we have to work on things on our own. And most of the times, we have to buy the tools. A scaffolding is something that we can use even in a small area as the inside of the house. This will allow you to have the same benefits. Do not worry about the size because these things are actually modular. There are different sizes for different kinds of uses. 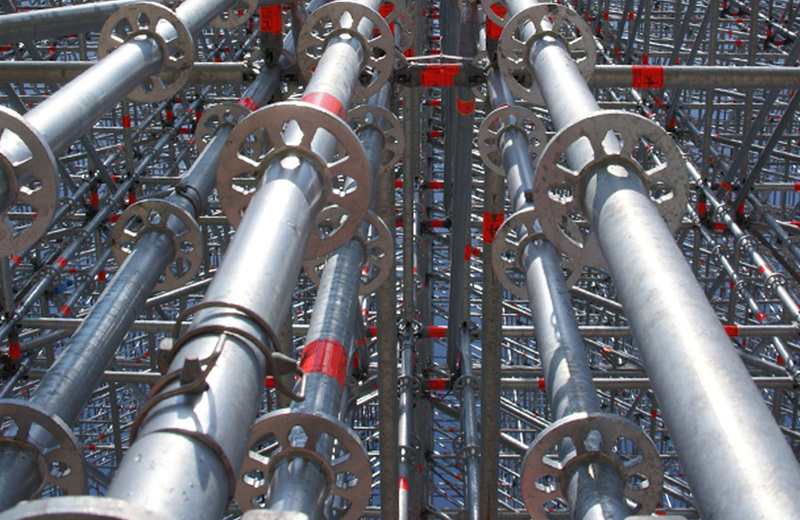 The only material constant in a scaffolding is the lock which will secure different bars of metal together. You can even make a small step board using small pieces of metal bars. All you have to worry about is the clamp that is being used to attach these pieces together. There are different kinds of clamps for different kinds of connections. You have to make sure that each of them is tight enough. The planks that you are going to use as floors should also be strong enough. If you are not sure, better use the same metal bars used as support. They carry enough strength to support large pieces of material. This is the reason why they are being used in large-scale constructions, even if they are free standing around the structure being built. How your Room Painting Affects your Mood?